Is my life a series of random events, or has it all been predetermined by fate? Who is Carl Naardlinger? Well first of all, he’s a mild mannered IT specialist, and a husband—who finds himself confronted in what can only be called a double-doppelganger situation. When officials come knocking on his door looking for a missing person with his same, unusual name, one has to wonder: what are the odds with a name like Naardlinger? Affected so deeply by this man’s disappearance, Carl goes looking for him. But, instead of finding him, he finds the missing man’s identical twin brother. Meanwhile Carl’s wife Pam is unnerved when she wishes the neighbor dead, and that is exactly what happens. What is going on? Can there be some higher power that is pulling on strings to spite the Naardlingers? Beautifully crafted, The Death (and Life) of Carl Naardlinger is a humorous, uplifting comedy about the meaning of life, coincidence, and fate. 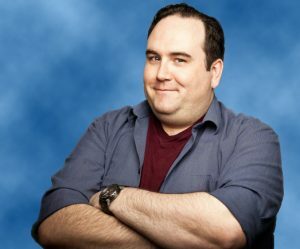 An alumnus of the legendary Second City, Matt wrote and performed in six hit revues, collecting three Canadian Comedy Awards for Best Sketch Troupe and three Dora Mavor Moore Award nominations for Best Musical. He was recently a series regular on Seed and was a lead on Punched Up, and The Next Comedy Legend. Innumerable TV credits include appearances on Haven, Reign, Saving Hope, The Listener, and Murdoch Mysteries. He is a founding member and Co-Artistic Producer of The National Theatre of the World. “The death (and life) of Carl Naardlinger is Kate’s first feature film as Director. Most recently Katherine has worked as a senior story editor and writer on a number of TV series including Heartland, Sophie, and Godiva’s. Katherine wrote the feature film Sheltered Life that premiered as part of Telefilm Canada’s Perspective Canada Cannes Programme in 2008. It featured an ensemble cast of thirteen women, and was based on Kate’s three-year stint working at a social services agency in the notorious downtown eastside of Vancouver. The film went on to play at festivals at home and abroad, and was broadcast by Superchannel. 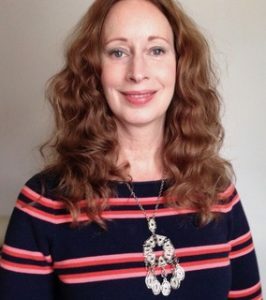 Katherine started her writing career as an actress, playwright and director in Vancouver, performing with the feminist theatre collective Ruby Slippers. Grace Lynn Kung is a TV, stage and film actress recently garnering an ACTRA award nomination for Outstanding Performance – Female, for her work in “The death (and life) of Carl Naardlinger”. Previously, she was a principal in the feature comedy “Bank$tas” that garnered a Canadian Comedy Award nomination. Film highlights also include Away From Her and The Lottery. She is known to TV audiences for her roles in Being Erica, Slings and Arrows, Remedy and most recently as a series regular in InSecurity for which she received a Canadian Screen Award nomination for Best Comedic Actress. 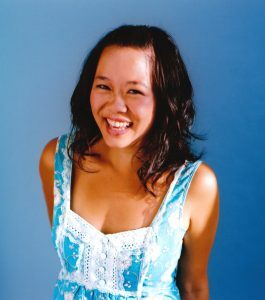 For stage, she has appeared in the National tour of the award- winning Kim’s Convenience with Soulpepper Theatre, as well as Canadian Stage (Yukonstyle), Canadian Rep Theatre (Problem Child) and Nightwood Theatre (A Nanking Winter). 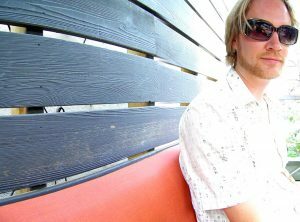 Carl founded and presided over the King’s Independent Filmmakers’ Society where he shot, and edited short films for emerging filmmakers in Halifax, Nova Scotia. He also directed and edited several music videos and two short films: the Genie nominated short comedy “The Big Thing” (about the end of the world) that premiered at the HBO Comedy Festival in Aspen and “Man Depot”. His first feature film was “Sheltered Life” which premiered at Perspectives Canada Cannes in 2008. 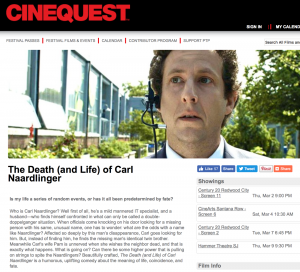 His company Cinéman Films has developed several features in the past few years, with “The death (and life) of Carl Naardlinger” releasing in 2018. He is currently directing and producing a documentary series on foundational physics, and as a Real Estate Sales Representative for Bosley Real Estate Ltd., Brokerage, he can buy and sell homes, businesses and commercial interests on your behalf. 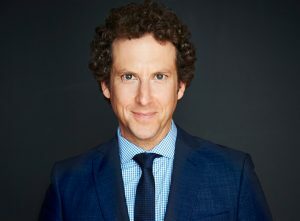 Mark Forward just wrapped production on the feature film No Stranger Than Love in which he plays a principal role opposite Alison Brie (Community, Mad Men), Justin Chatwin and Colin Hanks and was featured on John Oliver’s New York Stand-Up Show (Comedy Central). 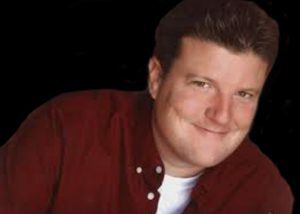 He has appeared on The Late Late Show with Craig Ferguson (CBS) Just For Laughs: All Access (The Comedy Network) for which he won a Canadian Comedy Award-nomination, and for two seasons Forward was on the writing staff of The Jon Dore Television Show (The Comedy Network/IFC) and played a variety of characters on the show. He was also a writer and cast member on Mr.D on CBC. Most recently Marc co-produced “Weirdos”, directed by Bruce MacDonald and written by Daniel McIvor. Named one of the Next Gen: Twenty Young Starts on the Rise in Canada by the Hollywood Reporter, Marc Almon is an award-winning producer, a graduate of the Canadian Film Centre, and a participant of the Rotterdam Lab, Trans-Atlantic Partners, Berlinale Talents, and the Festival de Cannes’ L’Atelier, Marc developed and produced the feature film “Blackbird”, written and directed by Jason Buxton and starring Connor Jessup (Falling Skies) and Alexia Fast (Jack Reacher). “Blackbird” won Best Canadian First Feature Film at the 2012 Toronto International Film Festival, the Claude Jutra Award for Best Debut Feature from the Academy of Canadian Cinema, and the 2013 Grand Prix at the Cannes sidebar competition, Cannes Junior. Marc is in the packaging phase on two new features: “Torchbearer” (director: Charles Officer, a co-production with Alcina Pictures) and “A Good Girl” (director: Sean Garrity). He is also attached as Canadian Co-Producer on “The Tale”, a feature film from Sundance award-winner Jennifer Fox. He has numbers projects in funded development, including “Merciful”, a television series by Lynn Coady (Orphan Black) that is supported by Bell Media / HBO Canada. Based in Halifax, Canada. Marc’s ultimate mission is to champion the work of exceptional storytellers. 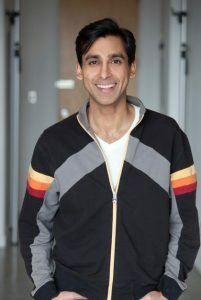 Anand has worked extensively with VideoCabaret, CORPUS, Second City, Stratford Festival, CanStage and others. He created Hys Unauthoryzed Lyfe & Tymes, Communist ‘Til Payday, Cowboys & Indians, and Stories From The Mountaintop. Recently, he was in Mustard at the Tarragon Theatre for which he won a Dora award, the Asian Bamboo Cabaret, The 39 Steps and Noises Off at Soulpepper and will soon be appearing in TomorrowLove, a new play presented by Outside The March. 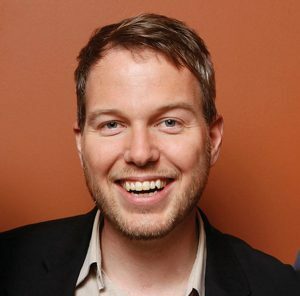 He is the cartoon voice of Dug on Terrific Trucks and a regular panelist on CBC Radio’s Because News. Growing up in a small town on Prince Edward Island, Dave was an odd ball with a odd brain and didn’t fit in. He moved to Toronto to pursue film and found himself behind the lens ever since. A bright mind with a new take on filmmaking, Dave has found his niche in the industry and has grown into the professional that he is today. From hanging out of helicopters to operating a steadicam on a skateboard, Dave has never been afraid to take on a challenge. Ryan is an award-winning writer, actor and director in Toronto. 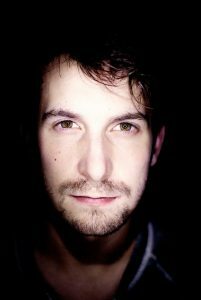 He is a graduate of the Playwriting program at the National Theatre School of Canada. He wrote the award-winning short film How To Marry a Mink, and he is currently adapting his play “Credit” into a short film. He has appeared in the APTN/Showcase drama Blackstone, and in the sequel to Canadian comedy classic FUBAR. He is currently completing the Conservatory program at Toronto’s Second City.